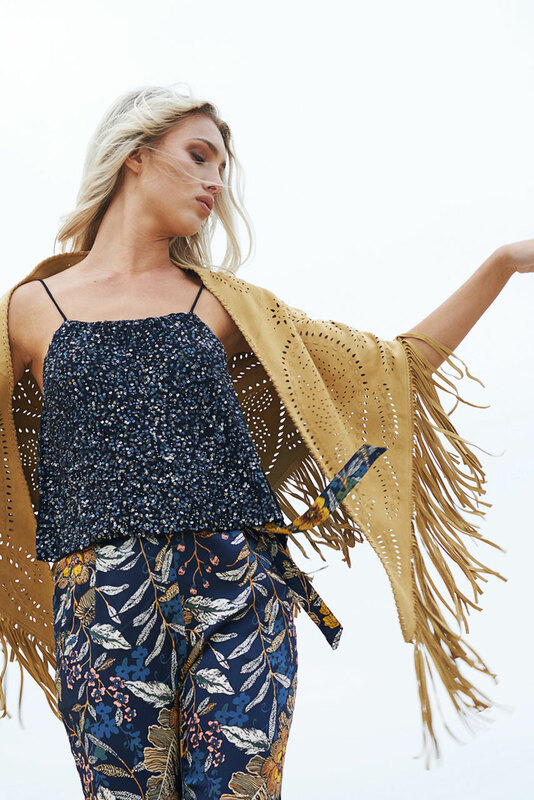 Treasures’s collections are designed to create the ultimate bohochic wardrobe for the woman with a free spirited heart and a taste for luxury. 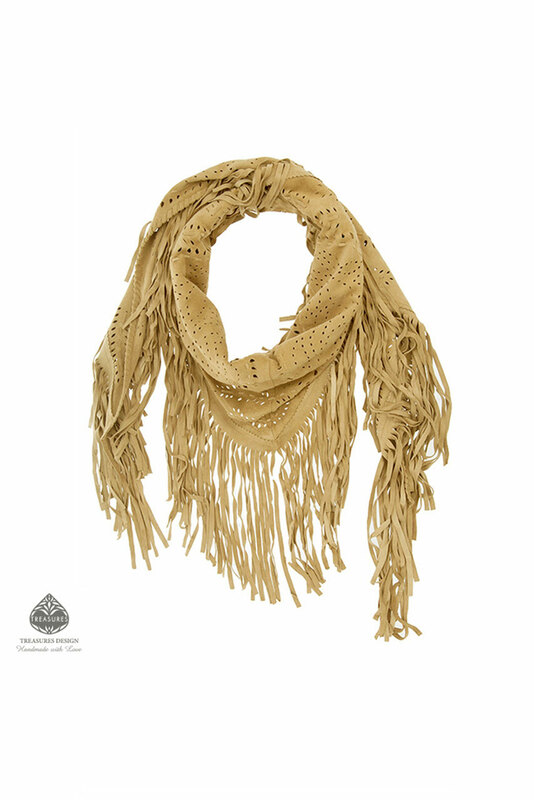 Crafted from velvet soft suede leather, the Lea shawl is fully embellished by hand with perforations, delicate leather embroideries and finished with long suede fringes. 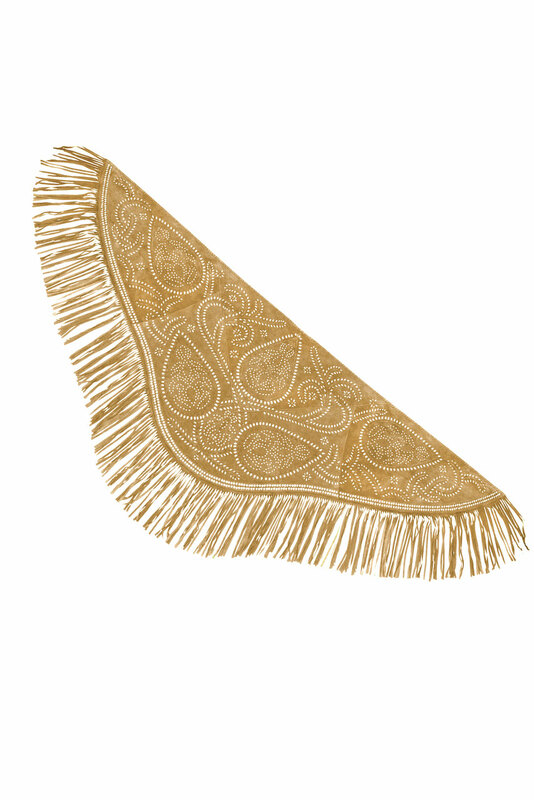 Style it effortlessly draped over a maxi dress, or over jeans for a night out. - width: 190 cm / 74,8"
- height including fringes: 80 cm / 31,4"